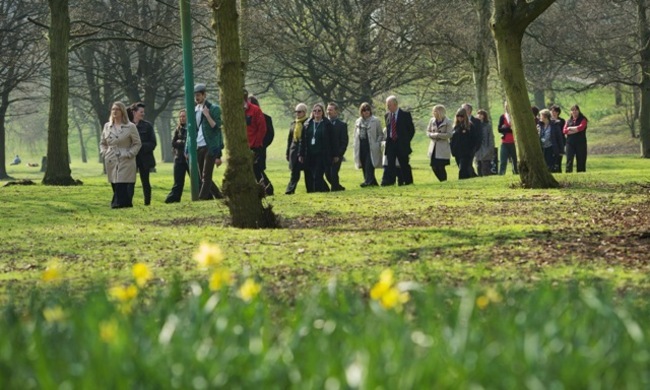 The University of Salford is partnering with the University of Manchester and Manchester Metropolitan University on a £700,000 research project that looks into the benefits and values of green infrastructure on an ageing population. Green infrastructure (GI), a term used in reference to green and blue spaces (areas of grass, and canals or waterways), has direct and indirect influences on human health and wellbeing. However access to such health and wellbeing benefits isn’t shared equally amongst the population, particularly for those based in urban areas. Additionally with people aged 65 and over more susceptible to environmental stressors, this age group in particular may also be the least likely to benefit from GI. The project will involve collaboration with Greater Manchester health organisations that specialise in improving the health and wellbeing of older people and the design and management of GI across GM – an example of the health ICZ. These organisations will include GM’s Red Rose Forest, Public Health Manchester, Manchester City Council and Manchester Arts and Galleries Partnership. Penny Cook will be working with Philip James from the School of Environment and Life Sciences on Salford’s contribution to the GHIA project. Salford’s role will be to look for relationships between health outcomes, using hospital data, and the occurrence of green infrastructure across space. 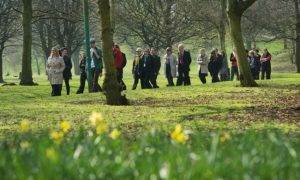 Researchers will work with the Salford Institute for Dementia to involve people with early-onset dementia to understand how they appreciate the urban landscape through different sensory perceptions.